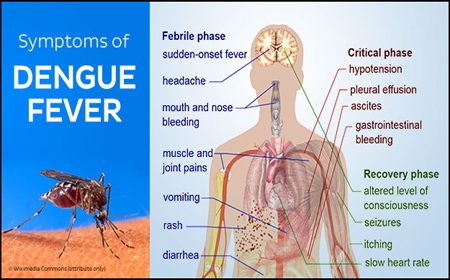 BELIZE CITY–Data released today by the Vector Control Unit in Belize City indicate that there have been 77 cases of dengue hemorrhagic fever (DHF) documented in the City, primarily based on clinical diagnoses between January and September 2014. Overall, the total number of dengue cases in Belize City, including the severe hemorrhagic form, amounted to 264, making up 82% of all cases reported for the Belize District area. No national figures have yet been provided. Senior Public Health Officer Javier Alpuche said that from January to September 2014, 59 cases of dengue were reported in the Belize District, outside of the Belize City area, and 25 were recorded as DHF cases. In all, the Belize District recorded 323 cases for the period. According to Alpuche, the last time Belize experienced a dengue outbreak was in 2010. Official data which the Ministry of Health released in August 2010 indicated that 807 cases of dengue had been reported nationally, with 513 cases in the Belize District. While that number is much higher than the preliminary tally for 2014, what is notable is that there were 64 cases of severe dengue in the lot. This means that comparatively speaking, the City is seeing a higher level of hemorrhagic dengue this year that it did when the 2010 outbreak was reported, when only 64 cases reported up to August 2014. The number of cases peaked in the first week of September, when 43 cases of dengue were recorded in the City for that week. Alpuche said that vast majority of cases were in Southside Belize City, particularly in areas such as Racoon Street Extension and Antelope Street Extension. Poor draining, stagnant waters, garbage hotspots and overgrown properties have contributed to the spike in dengue cases.